As part of SICK’s ongoing dedication to the North American safety market, SICK hosted the recent safety standards development work of the Robotic Industries Association (RIA). This weeklong meeting consisted of two subcommittees: R15.06, addressing the safety of industrial robots and robot systems; and R15.08, drafting a new standard for safety of industrial mobile robots. The remainder of the week was devoted to the development of a new safety standard addressing industrial mobile robots: RIA R15.08. The US effort toward codifying requirements for this new genre of automation is the first of its kind globally. The current plan is to develop 3 separate parts of this standard to address either supplier (builder), integrator, or user requirements for the safety of people, with Part 1 (supplier) as the first priority. Many of the meeting attendees participated in both meetings, and comprised safety experts from leading US organizations involved in the development, integration or use of industrial robots, Autonomous Mobile Robots (AMRs), and industrial mobile robots – most of whom are existing SICK customers. Hosting the meeting provided SICK with an excellent opportunity to showcase some of the latest Safety Solutions SICK has to offer. 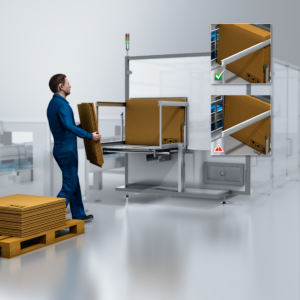 The Safeguard Detector application package is targeted toward case erector machines that have traditionally been safeguarded with physical “tunnels” around the application. This tends to limit access to the machine and takes up a lot of floor space. It is also difficult to get safety light curtains or scanners to protect the application, because they are large, expensive, and may not be the right technology to safeguard the application. The use of two standard photoelectric switches being monitored by a safety controller, while still achieving a high performance level, is innovative and functionally addresses a common application safeguarding challenge in the consumer goods industry. Outside of the consumer goods industry, Safeguard Detector may be a good option to look into if there is material feeding into an application which would serve as a functional barrier guard if it is placed correctly. Overall, there was much interest in Safeguard Detector, specifically because the use of non-safe components in a safety application/system is relatively new to the market. The Safe Entry Exit application package targets applications where material is automatically moving into or out of a hazardous location. Typically, these applications are solved using various muting solutions (2- or 4-sensor muting, pattern recognition, etc.). Most often, the difficulties with traditional muting solutions are due to the muting sensors. Between the added wiring, mounting, and alignment, there are also more components required, adding to the overall expense. Safe Entry Exit utilizes the muting concept but doesn’t require muting sensors. A process signal is required that is difficult to tamper with (i.e. valid barcode or RFID scan), and a “Time Extension” signal which is complementary to the process signal. These can be generated from the non-safe automation PLC and still fulfill the muting requirements when properly monitored. Safe Entry Exit has great potential to be used in multiple industry segments with material entering or exiting a hazardous location. SICK Safe Portal Solutions are specifically tailored to ensure efficient, flexible safeguarding for material transfer stations which complies with safety standards. 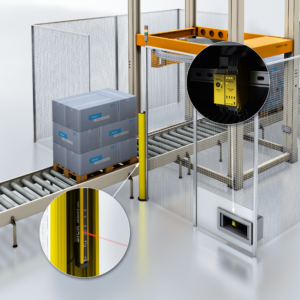 Two vertically mounted safety laser scanners with intelligent monitoring of scenario switching provide access protection. Objects with predefined contours are able to pass through safely without tripping the safety function. 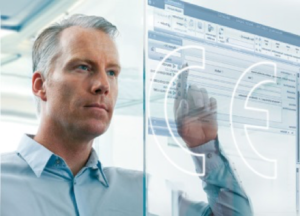 This provides a more flexible production process and optimizes productivity. Safe Portal Solution is a Pre-Engineered Solution that consists of all the technical protective devices and the associated engineering provided by our Safety Services team. It also contains diagrams in EPLAN format as well as the configuration and on-site validation. This saves time and costs, and enhances safety at all levels. 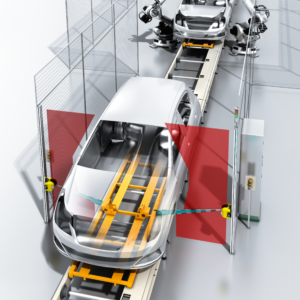 Safe Portal Solution can be applied in many entry-exit applications in many industries, although the initial applications for Safe Portal Solutions are the entry and exit of AGV’s moving automobile bodies into or out of welding cells. The attendees were very impressed with the Innovative Solution that Safe Portal Solutions provides to customers. The attendees were also provided a detailed demonstration on how scanners can be used in human-robot collaborative applications and mobile applications. The main focus was new scanner technologies and functions that enable a high level of safety and productivity. SICK was able to partner with Hartfiel Automation to provide a live demonstration of a collaborative robot application scenario. Hartfiel Automation provided and configured a robot with power and force limiting features from Universal Robotics. The UR robot was interfaced with the microScan3 Core I/O to demonstrate safe speed monitoring, reducing the robot speed as operators moved closer to the hazard within the work area. Innovative solutions like this allow for workers to have safe and unlimited access to work areas while reducing downtime and increasing productivity. Variants of the microScan3 have the ability to monitor up to 8 protective fields simultaneously which could be used to trigger reduced speeds or a safety stop in robots or AGVs. The 8 fields could also be used to divide a robot cell into separate work zones, allowing the robot to work only in certain areas when a person is present. A new function that was highlighted is safe contour detection. Contour reference points can be defined such as a wall or column, and when the scanner detects these contours, a safety signal is generated. Last but not least, we discussed the Smart Connectivity of the microScan3 Pro, providing customers with the ability to communicate directly with safety PLCs over EtherNet/IP with CIP SafetyTM and PROFINET with PROFIsafe data communication. During the Solution Showcase, SICK had the opportunity to discuss our complete Service capabilities throughout the lifetime of our products and solutions. 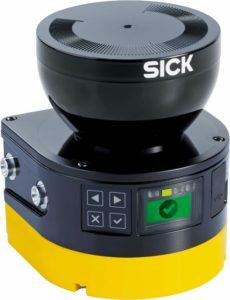 For companies who prefer to perform many services such as installation & commissioning, preventative maintenance, and repairs themselves, SICK’s response is often intriguing as we are glad they find services important as well. There might be additional ways in which SICK can support them through product training, safety education, 24/7 phone support, or remote monitoring. SICK caters to a variety of industries and types of customers – we are also capable of performing installation & commissioning for customers who prefer to focus their attention on core competencies and let SICK support our equipment. Feedback from the participants was all very positive; everyone was impressed with the meeting facility and resources, as well as the support provided by the SICK team. Congratulations to the entire team at SICK that set up and supported the RIA Standards Meetings and the Solution Showcase. Also, a special thank you to Hartfiel Automation for partnering with SICK to provide an excellent collaborative robot application demonstration.